The interrelations between mankind and nature set the ground for Peter Holliday’s photographic work. 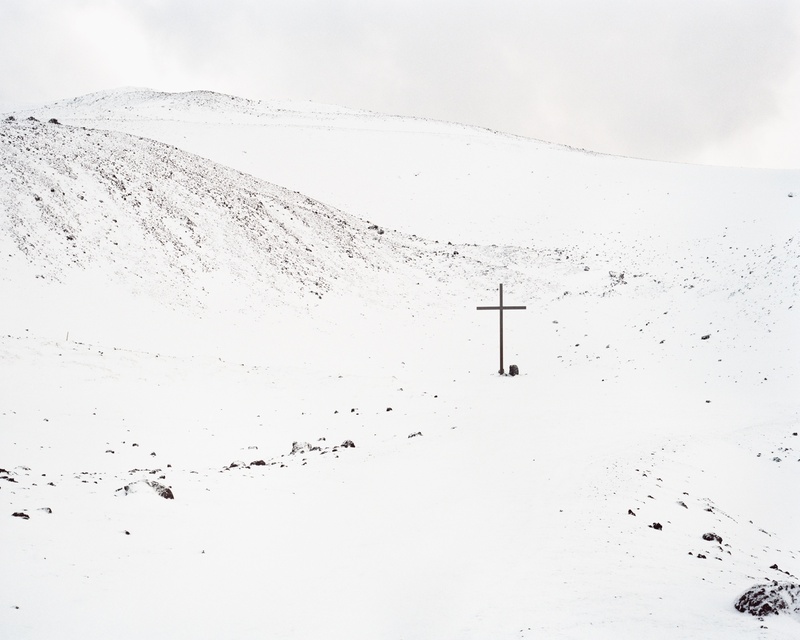 In his current exhibition The Mountain of Fire, featuring images from his series Where the Land Rises, he investigates themes of absence and remembrance by studying the volcanic eruption of Eldfell on the island of Heimaey in 1973 in Iceland. What took a Scotsman to the small island of Heimaey in Iceland? In 2014 I spent a two weeks touring Iceland with my father. Our itinerary was flexible, and we decided to spend a couple of nights on the island of Heimaey, the fishing capital of Iceland. I knew there had been an eruption there in 1973, but I didn’t realise how significant it had been until I was there and experienced the landscape for myself. It’s a stark place, though incredibly beautiful. Tell us about the eruption. In the early hours of the 23rd of January 1973, Heimaey suddenly erupted, leading to the immediate evacuation of the island. The eruption lasted until July 1973, when many of the inhabitants began to return, although some would never come back. Heimaey was now almost an unrecognisable place. In less than six months the island had grown by an area of 20 per cent, and the new volcano, which had become known as Eldfell, had reached a height of 200 meters. Around 300 homes had been destroyed, buried beneath ash and lava. 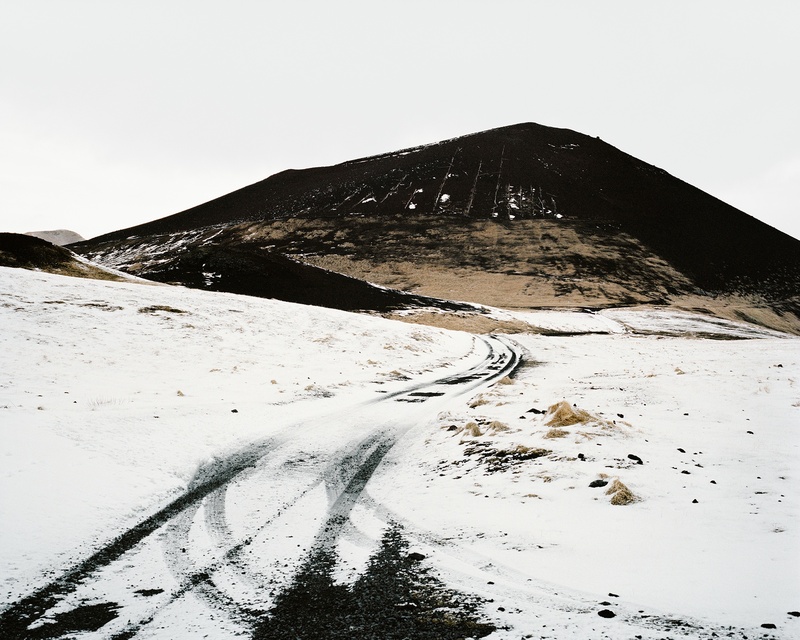 Peter Holliday, Eldfell Crater, Vestmannaeyjar, 2015. 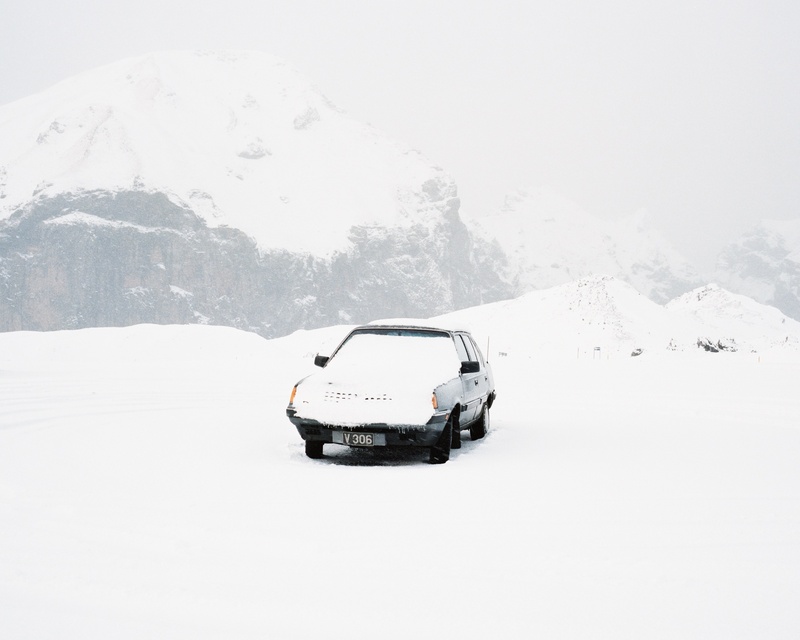 Peter Holliday, Car in Snow, Vestmannaeyjar, 2015. Where did the idea for the project Where the Land Rises (The Mountain of Fire) originate from? The eruption is a fascinating tale of destruction and creation, loss, remembrance, resilience, transformation, and renewal. After my first visit to Heimaey, I began to investigate these themes and the eruption’s legacy further. 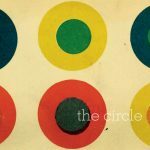 It quickly became a story I felt compelled to tell. The majority of us will never experience this kind of traumatic geological change during our lifetime, and so I became really interested in what it does to the human psyche when the landscape you live in changes so intensely. At the time I was a student in my final year at Glasgow School of Art and the project would become my bachelor thesis. Where the Land Rises (The Mountain of Fire) is as much about people as it is about landscape. The portraits in this series document some of the people who call Heimaey home, many of whom witnessed the eruption. 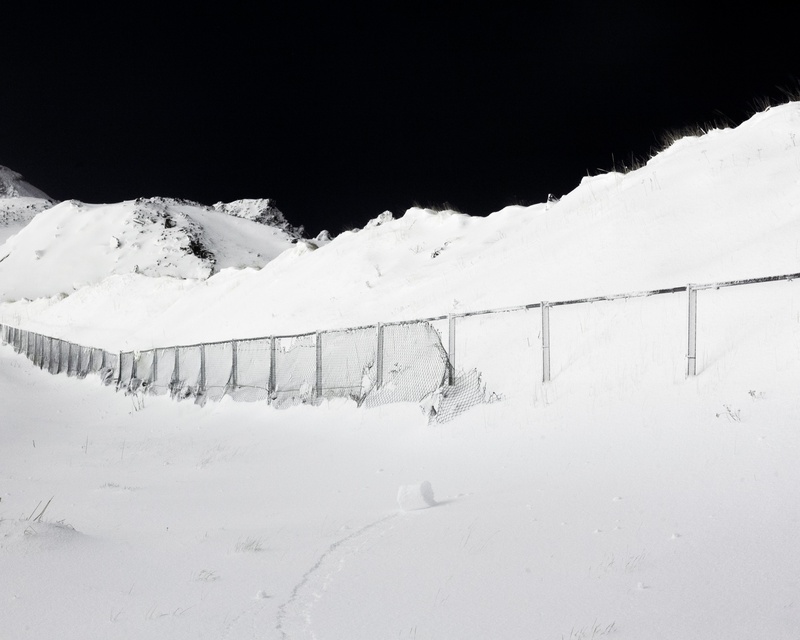 Páll Einarsson was aged 15 at the time of the eruption and laments the 23rd of January 1973 as “the night everything disappeared”. Another witness first thought that World War III had begun. To the inhabitants of Heimaey the eruption was a life-changing experience, so it was important to reflect that sense of humanity. Now the event has become a part of their cultural identity. They celebrate the end of the eruption as a festival every summer. 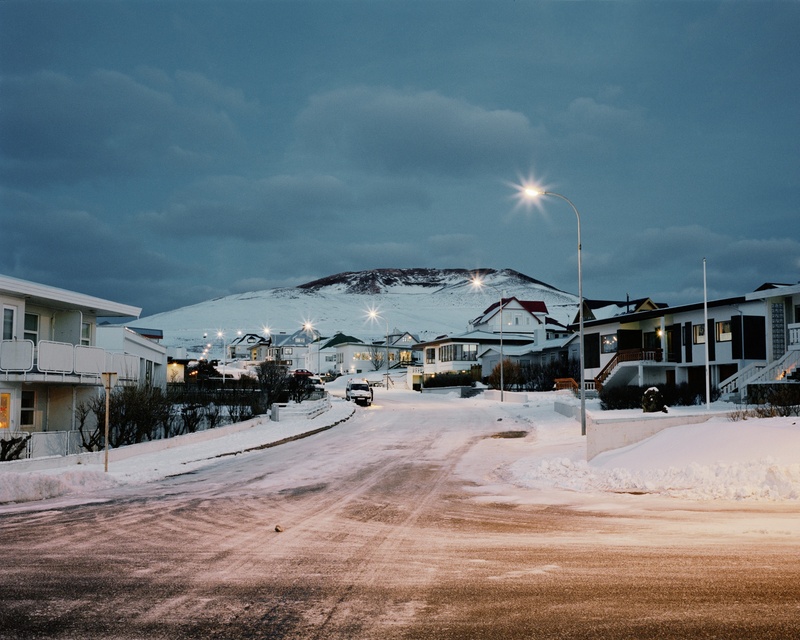 Peter Holliday, Austurgerði 13, Vestmannaeyjar, 2015. 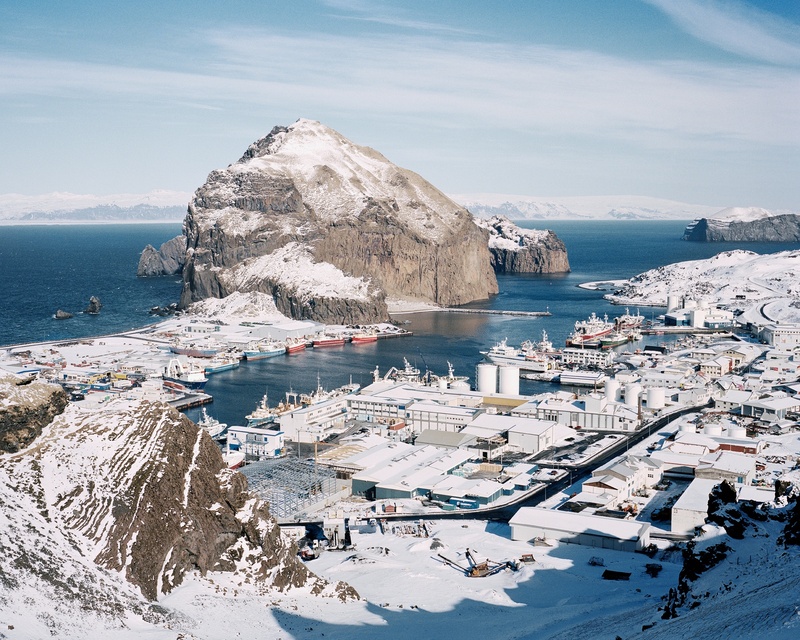 Peter Holliday, Port Vestmannaeyjar, Vestmannaeyjar, 2015. I’m interested in how the past lingers in the present through the memory of the marks we leave. I grew up in the rural Scottish Highlands in a landscape scarred by thousands of years of human history, so I’ve always been interested in this kind of space and the relationship it shares with its inhabitants. I’m inspired by the work of Frank Gohlke, Alec Soth, Joel Sternfeld, Andrei Tarkovsky, and Werner Herzog, to name a few. The Scottish landscape writer Nan Shepherd as well as the American novelist Cormac McCarthy have also had a heavy influence on the way I think about landscape and how it is revealed within the human psyche. The monumental grandeur of the Land Art movement leaves a big impression on me too. Have you found any similarities between people in Scotland, Iceland and Finland? Alcohol consumption. *laughing* I suppose we are all societies that have been shaped by our close relationship with nature, especially the sea. I feel we all share a pessimistic dark humour, as well as a certain kind of stoic determination which the Finns call ‘sisu’. It’s probably got a lot to do with the weather. There are also so many cultural similarities that there’s even an argument that Scotland should exist as an independent nation within the Nordic Council. There are differences too, of course. Before I spent my first winter here, I’d never seen the sea freeze over, let alone walked on it, so that’s been a curious experience. When you walk home from the pub and it’s below minus ten celsius, that’s certainly exotic. Now that spring is finally here, I’m anticipating the endless nights of the northern midsummer. Peter Holliday, Birkihlíð, Vestmannaeyjar, 2015. 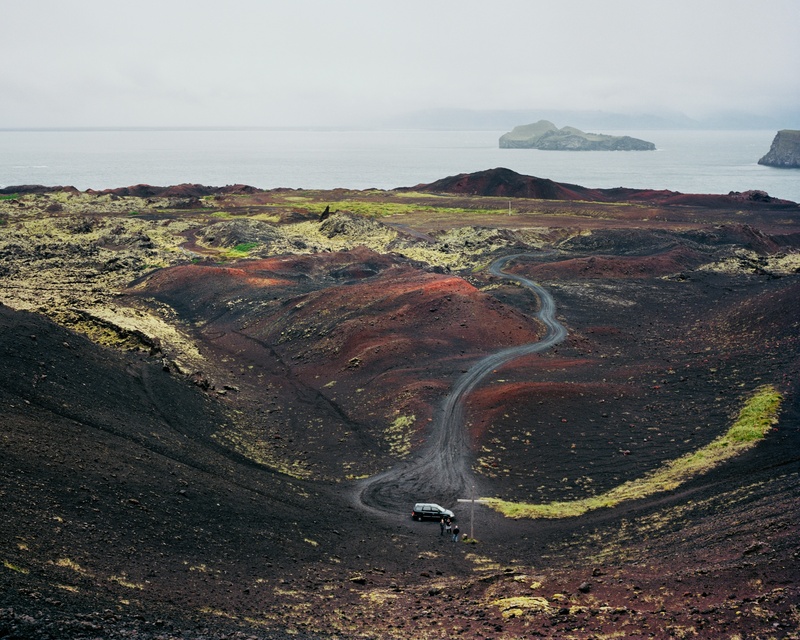 Peter Holliday, Eldfell, Vestmannaeyjar, 2015. 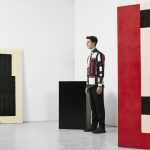 Aalto University School of Arts, Design and Architecture. What brought you here? It was my lecturer at Glasgow School of Art, Andy Stark, who told me about the course based on the international reputation of the Helsinki School. I’ve always been fascinated by the idea of ‘the North’ too – how different societies draw their culture and mythology from the landscapes of this vast region – so it made a lot of sense to apply here. My experience so far is an educational programme that welcomes and celebrates diversity – I don’t consider that I’ve been pigeon-holed. Living and studying in Helsinki has certainly offered me a fresh and inspiring perspective on photography – it’s an exciting place to produce new work. I recognise the enormous abundance of talent in this city, and I feel very grateful to be able to contribute to the photographic discourse here in Finland. I’m very passionate about what I do, and I hope to be recognised for that passion one day. I’d like to teach at some point too. Currently, I’m working on getting my series Where the Land Rises (The Mountain of Fire) published as a book. 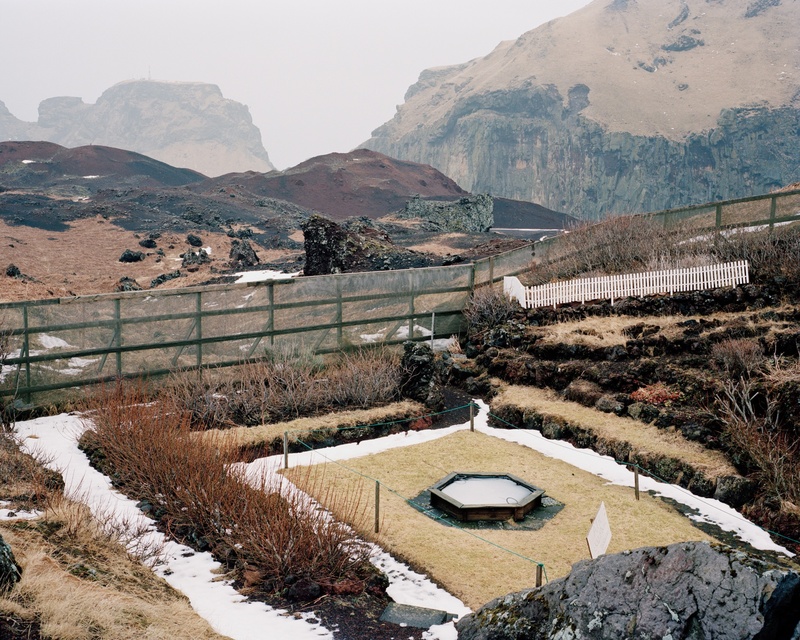 Peter Holliday, Memorial Garden #2, Vestmannaeyjar, 2015. 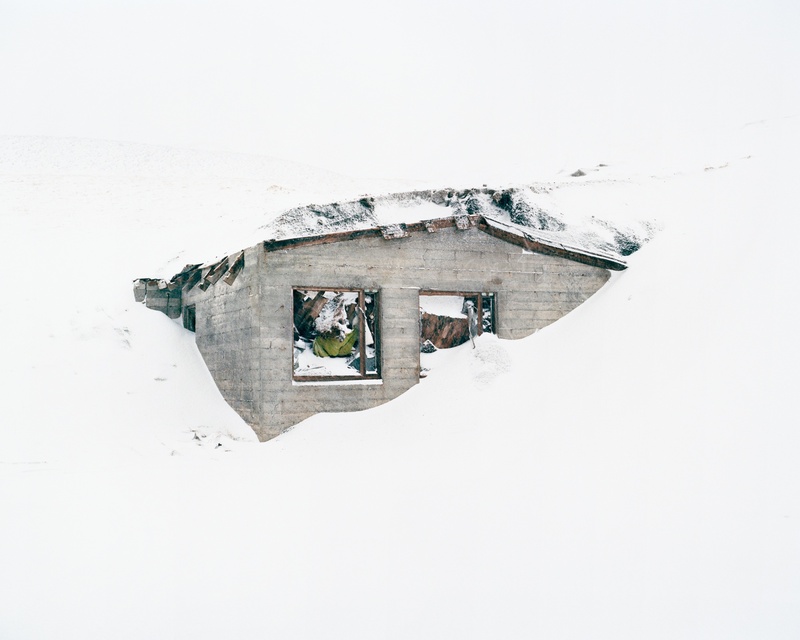 Peter Holliday, Nýja Hraun #2, Vestmannaeyjar, 2014. Can being a photographer be a lonely place? There’s a lot of freedom when you essentially work on your own, but ideas don’t breed in a vacuum either. Collaboration and discussion with others will always be an integral part of the process, so I wouldn’t describe the act of photographing as lonely at all. It’s more of a contribution. Perhaps the process is a kind of solitude though, and maybe my work reflects that. On the 18th of April from 17-19.